Here at Everlast Services (formerly known as Everlast Fencing) we love providing quality products at an affordable price. We offer a range of residential fencing solutions, from security fencing to modern, stylish aluminium slat fencing. 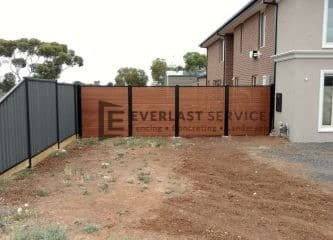 If you’re looking for a residential fencing service you can be sure that Everlast Services will have the product you’re looking for at a price you can afford. 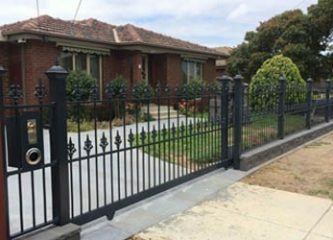 This job in Truganina required a security solution for a residential home that wouldn’t detract from the overall aesthetic of the house. The clients shopped around at other fencing companies and found that they simply couldn’t understand their vision, and therefore couldn’t bring it to life. One company came up with a solution they were happy with but the price of the quote made the build un-viable. When they contacted Everlast, we were able to give them the solution they wanted after just one meeting. We came up with an option for a stylish and modern double security gate solution for their house. 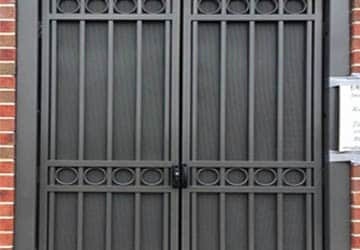 Our design consisted of custom made security sheets with a triple ring design, along with a thick gauge steel frame and large steel rings that soften the look of the gate. We were able to deliver a quote far lower than any other residential fencing service provider. We were able to fabricate the entire gate at our steel fabrication factory in Hopper’s Crossing meaning we could cut out the cost of outsourcing the fabrication. The clients were amazed with the quote we gave them. The gate ticks both boxes for the clients. 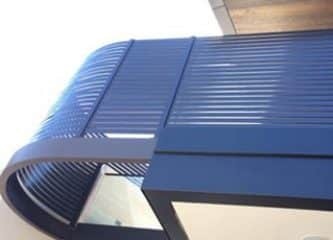 It has made their house safer and provided a stylish and unobtrusive entry point to their home. This was only made possible by the team at Everlast Services.